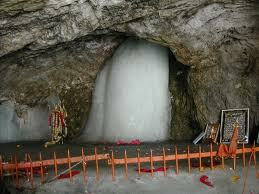 Amarnath via Sonamarg,Amarnath Yatra via Sonamarg,Sonamarg to Amarnath Yatra . Receiving of guests at Srinagar airport. Meet & greet and transfer by to Houseboat/Hotel. Welcomedrink on arrival. Rest of the day at leisure . After breakfast visit the Mughal Gardens, Chashmi-e Shahi, Nishat & Shalimar Bagh. In the afternoon enjoy a Shikara ride on the Dal Lake.